A Tribe Called Quest will make a "major announcement" on Monday March 5, 2018, according to an Instagram post from the hip-hop group. The group has sent mixed messages about its future since the death of founding member Phife Dawg on March 22, 2016. In December 2016, Tip told listeners on BBC 1 that "another incarnation" of A Tribe Called Quest was in the works. 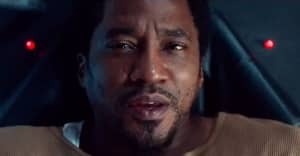 But during a performance at Bestival in September, Q-Tip said the show was a finale. “This is gonna be our last show as A Tribe Called Quest, ever," he told the crowd. Both Tip and Jarobi White have said that Tribe's 2016 album We Got It from Here... Thank You 4 Your Service will be the last ever album from the group. The upcoming announcement may not be related to every member of A Tribe Called Quest: Phife Dawg's posthumous album Give Thanks, originally announced for 2017, is still unreleased, with no new date revealed yet.